Operating from Valencia in the south of Spain, Navarro Darder SL each year packages approximately 25,000 tonnes of onions. In order to supply customers better and faster, this trading company has in recent years invested significantly in fast and reliable Manter weighers and packaging machines. “Now that we work with the MD14 XL in combination with the latest MBP HS and SAB HS, we can effortlessly switch from one type of packaging to another. We no longer ask our customer when they want to deliver, but how many trucks they want to have loaded”, states commercial manager José Vte. Darder with a smile. “By investing in modern equipment, we will also be able to achieve this growth sustainably”,Navarro and Darder state with conviction..
Cesar Navarro and José Vte. Darder consider customer satisfaction as the main objective in their daily activities. 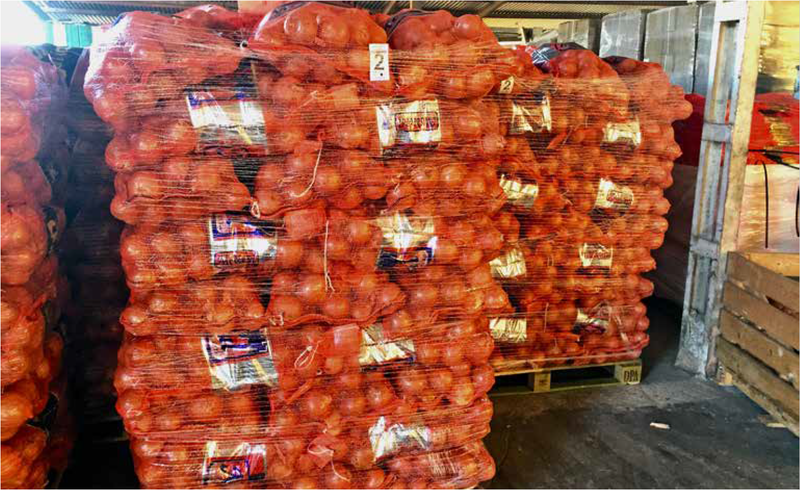 To achieve this, the company offers a broad range of pallet packaging materials for yellow, red, white and sweet onions. With 99% of the sales, onions are by far the most important crop, but in early spring the company also supplies exclusive early potatoes from the region to customers in Spain and abroad. 25 percent of the turnover is generated in Spain, the remainder is exported to central markets in the Netherlands, Germany, Northern and Eastern Europe and even South America. “Our customers require an extensive range of consumer packaging products and 5 to 25 kilogramme net bags and boxes. It is therefore important that our machinesenable us to switch quickly from one type of packaging to the other”, Navarro emphasises. “We provide top quality and fast service, which is why we can ask fair prices for the products we offer”, Darder adds. them to customer specifications”, the managers explain. 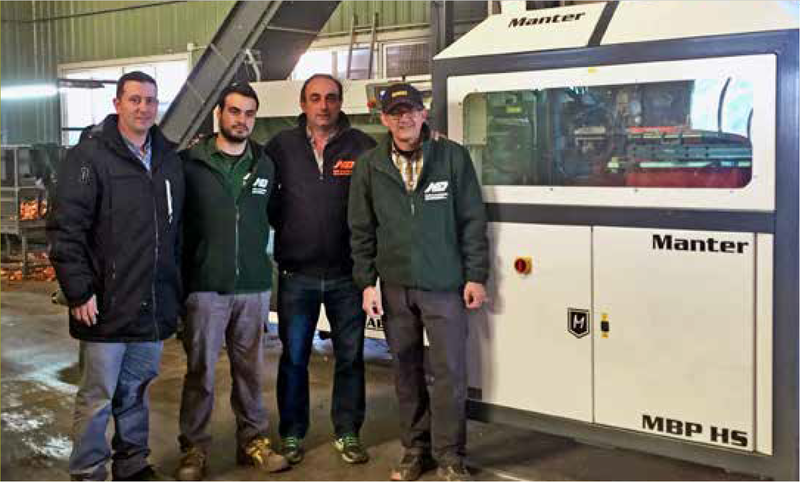 Looking at the future, these Spanish professionals aim to expand their markets and sales. The ideal location of the company, close to the port of Valencia and vital motorways to the main cities of Madrid and Barcelona and the rest of Europe forms a strong base for future operations. The company expects to achieve a 20% annual increase in sales for the coming years. “By investing in modern equipment, we will also be able to achieve this growth sustainably”, Navarro and Darder state with conviction. By combining the MBP HS and the SAB HS with the MD 14XL weigher, Navarro Darder can now also accurately weigh its big Spanish onions and package them to customer specifications.